I have a love/hate relationship with fake tan. When it works well, it’s a lovely thing and i feel great not looking so pasty but when it goes wrong, as it often does, it is a stinky orange streaky mess. It also can lead my better half sleeping in another room due to the aforementioned stench. I had pretty much jumped off the tan bandwagon completely except for a little gradual tanner (Dove Summer Skin) when absolutely necessary for a summer wedding or instant (Benefit Jiffy Tan or Rimmel Sunshimmer) for a night out. 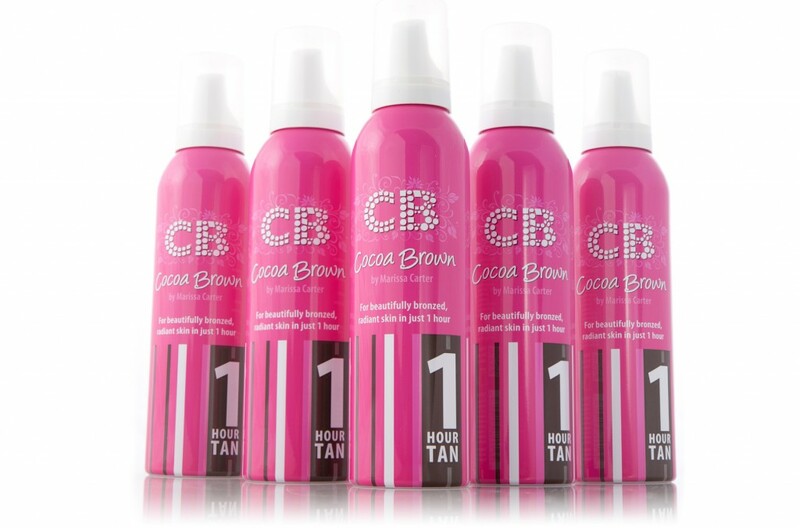 Recently when seeing my friends lovely Cocoa Brown tan, i decided to give fake tan one more try and i am so glad that i did. I bought the Cocoa Brown One hour tan mousse. You apply with your tanning mitt and wait between 1 and 3 hours before showering off. Colour Varies between light and dark depending on how long you leave the tan on before showering. The mousse is easy to apply and drys immediately so you can get dressed and you don’t have to walk around like a cowboy in the nip until it dries. There is virtually no fake-tany smell to the product at all which is great. The colour is brown and lovely without the slightest hint of orange. It lasts about 4/5 days and fades away naturally and evenly. I picked mine up in my local chemist and i have seen it stocked in Penny’s too. It only costs €7.99, although i would pay more for this product. As always, your tan will work so much better if you prep your skin in advance. That means, exfoliate and moisturise the day before you tan. For best results, apply your exfoliater to dry skin and rinse off in shower. On the day of tanning, shower but don’t apply any products to your skin. I just tried this for the first time last week too, I thought it was really easy to put on and was delighted with the smell but i only left it on for 90 mins and I thought I needed it for longer 😦 I’ll definitely try it again though.